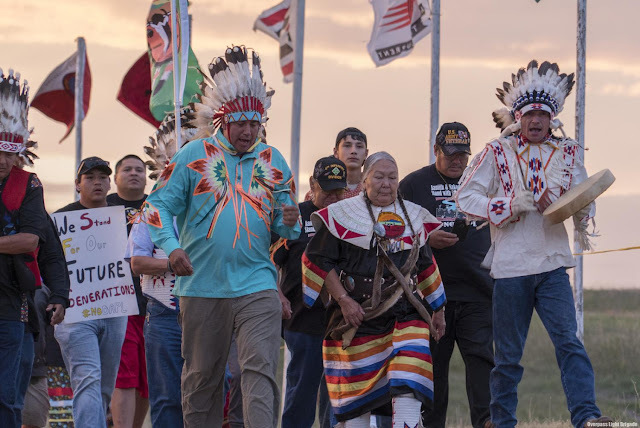 Native Americans protesting construction of a North Dakota oil pipeline near land they consider sacred on Saturday quietly celebrated the U.S. government's decision to pause construction on federally owned land, and vowed to press for a full halt to the project. On Friday, the Obama administration temporarily halted construction on federal land of the planned pipeline that has angered the Standing Rock Sioux Tribe, and asked the company behind the project to suspend nearby work. 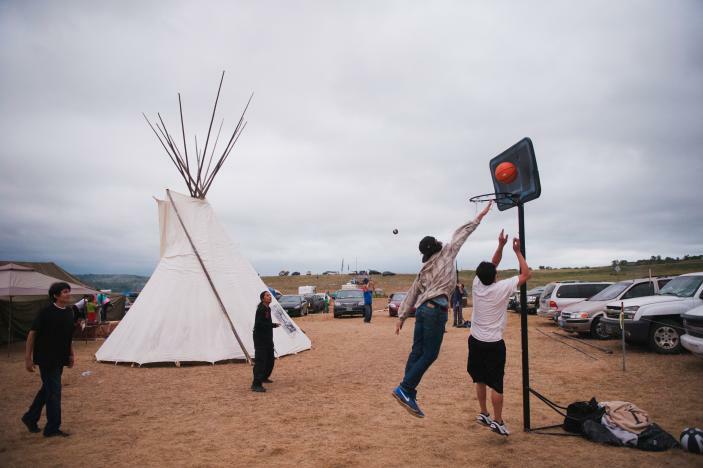 The move came shortly after a federal judge in Washington rejected a request from Native Americans for a court order to block the project. 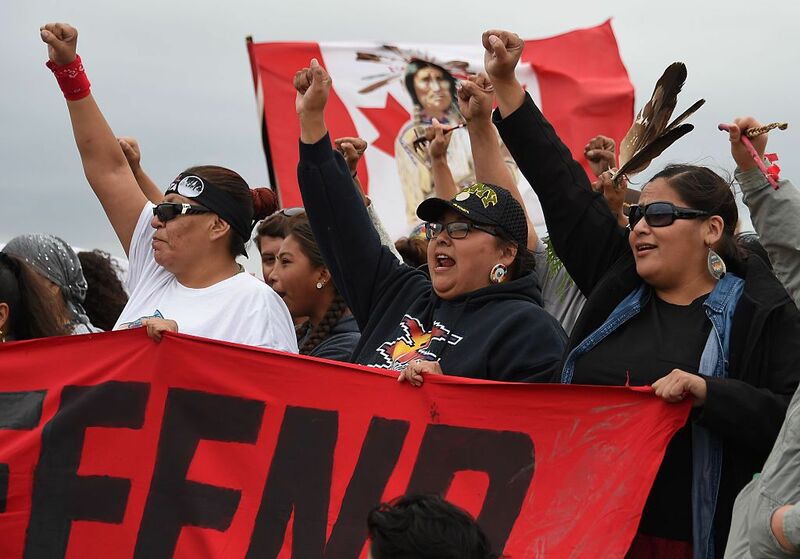 The government's action reflected the success of growing protests over the proposed $3.7 billion pipeline crossing four states which have sparked a renewal of Native American activism. The Standing Rock Sioux, whose tribal lands are a half-mile south of the proposed route, say the pipeline would desecrate sacred burial and prayer sites, and could leak oil into the Missouri and Cannon Ball rivers, on which the tribe relies for water. On Saturday, many activists in Cannon Ball, North Dakota, touted the latest victory, but said its temporary nature meant they would not end their protests, echoing Friday statements by Standing Rock Sioux leaders. His tribe had set up big Army-style tents as well as a kitchen. With prayer and song as well as the occasional drum beat in the background, activists vowed not to leave. 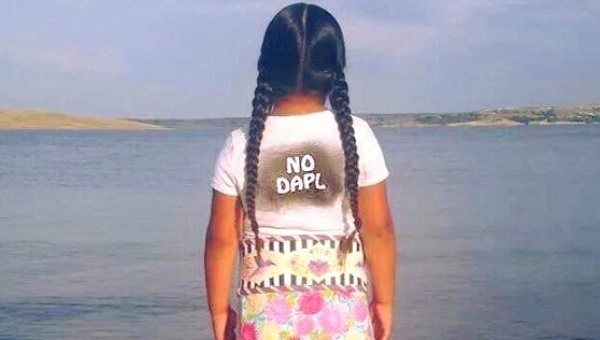 Opposition to the pipeline has drawn support from 200 Native American tribes, as well as from activists and celebrities. Speaking from the red carpet at the Toronto International Film Festival world premiere of "Snowden" on Friday, actress Shailene Woodley, who has backed efforts to halt the pipeline, lauded the U.S. government's decision. "It's about time," she said. "I'm extremely grateful and I hope that momentum continues to move forward." Dakota Access, subsidiary of Energy Transfer Partners LP that is building the pipeline, declined to comment on Saturday. Brigham McCown, an industry consultant and former head of pipeline regulator U.S. Pipeline and Hazardous Materials Safety Administration, said the federal action came "out of left field" and was unprecedented. "We don’t know what the implications are, other than that it's going to have a huge chilling effect on our national ability to move forward with infrastructure projects," he said. 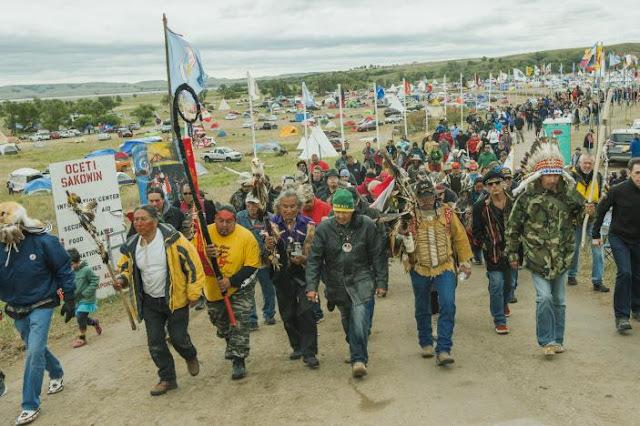 Responses to ""This is only a pause" Tribal communities remain vigilant about Dakota pipeline"